During World War II, 400,000 Allied troops found themselves surrounded by the German army and trapped on the coast of Dunkirk. With their backs to the sea and the enemy closing in, the chances of survival were bleak. However, just when all hope seemed lost, a flotilla of small boats - manned by both military and civilians - came to their rescue. Against all the odds, 338,226 soldiers were saved. Victory comes in many forms and takes many guises. The Dunkirk evacuation was the result of, to quote Winston Churchill, "a colossal military disaster". History, however, will remember this tragic event as a miracle - a triumphant example of the human spirit. “The fact that this story does not end in either surrender or annihilation is what makes it one of the greatest stories in human history,” states Christopher Nolan. Inspired by what took place on that beach in Dunkirk, the director began to research this defining moment in history. The end result is a breathtakingly intense thriller. Dunkirk is both visually and aurally stunning - a deeply moving story brought to life by a superb cast and told via tales of land, air and sea. The best way to see Dunkirk is to seek out the biggest screen that you can find. I watched this film on an IMAX screen and it was an incredibly impressive and wonderfully immersive cinematic experience. While Nolan has a lot of experience working with large format cameras (for example, in Interstellar and The Dark Knight), Dunkirk still proved challenging. Van Hoytema worked closely with Panavision and IMAX to ensure that they could do as much ‘in camera’ as possible (even putting an IMAX camera into the cockpit of a Spitfire), thereby protecting the film's incredibly crisp and pure image resolution. In addition to screen size, it is crucial to watch Dunkirk in a venue with the highest quality speakers. The sound of this film is, thanks to Hans Zimmer’s score, phenomenal. Insistent, foreboding ticking injects a sense of anxiety into the very start of the story - and Nolan only ramps up the tension from there. In what is a remarkably dialogue-lite movie (Nolan was inspired by silent film), other sounds play significant roles in Dunkirk. For instance, the sound of gunfire or the creaks and rattles inside Tom Hardy’s Spitfire. These aural and visual elements combine to create a sense of authenticity and immersion. Having so convincingly set the scene, Nolan then tells the story of Dunkirk via the experiences of a handful of men on land, air and sea. Each segment of the story occupies a slightly different time frame, until events pull together in the final act. 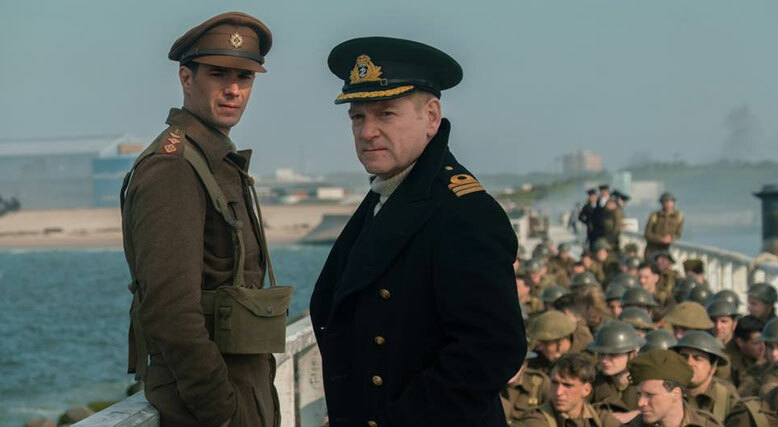 We watch as young soldier, Tommy (Fionn Whitehead), struggles to escape the beach, see Commander Bolton (Kenneth Branagh) undertake the overwhelming task of coordinating the rescue, follow Tom Hardy’s brave RAF pilot as he tries to protect the stranded men from the skies and witness the consequences of Mr Dawson (Mark Rylance)’s decision to join the flotilla of rescue boats. The entire cast (both new and experienced) perform at the very top of their game. Many of Nolan’s reaction shots - the look on the faces of the soldiers, Commander Bolton and Mr Dawson - raise goosebumps. While Nolan does not dwell on any death or injury, we are left in no doubt of the impending tragedy. Indeed, I felt emotionally exhausted by the end of Dunkirk’s second act. However, just when despair threatens to overwhelm, Nolan offers a much needed reprieve. Bolton’s first sight of the rescue fleet and his appreciation of the incredible civilian response is deeply moving. (For me, this answers any questions about Nolan’s ‘coldness’ and ‘detachment’ as a film director). The Dunkirk evacuation was a truly extraordinary event, a story that needed to be told by an intelligent, masterful filmmaker like Christopher Nolan. This superb film reminds us just how much was sacrificed so that we can enjoy our freedom. Dunkirk deserves to be seen by all… and watched on the biggest screen possible. 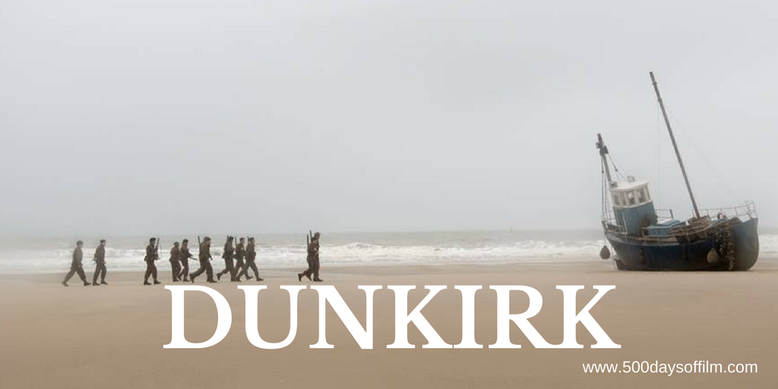 Nolan shot Dunkirk on the same beach location where the historical event took place and at the same time of year - often battling challenging weather conditions. On 5 August, 2017, Warner Bros. announced that Dunkirk had crossed the $300m mark (worldwide). At this point, the movie had earned an estimated $51.5m worldwide in IMAX theatres. Nolan's film is, of course, not the first to tell the Dunkirk story. Indeed, it is not the first movie to explore this event this year - following, as it does, the release of Their Finest. If you have, what did you think of Christopher Nolan's epic film? Let me know in the comments section below or via Twitter or Facebook (@500DaysOfFilm)!